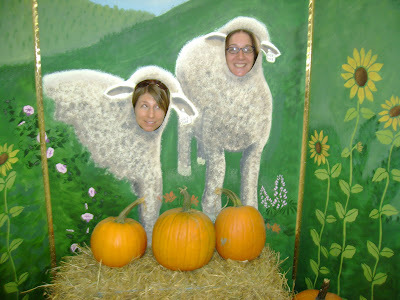 This week my friend Marybeth and I went to the Big E. It was an exciting visit because Marybeth was entering a cake in the first ever cake contest at the Big E! 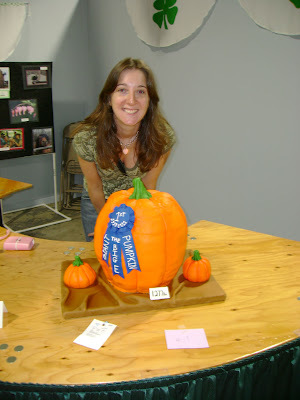 The theme was fun at the Big E, so Marybeth decided to create the pumpkin contest out of cake. As you can see in the pictures the cake looks amazing!! 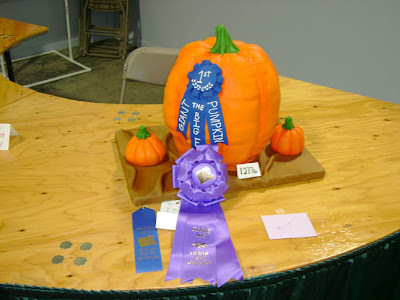 The judges thought so too because she tied for first in her category and won BEST IN SHOW!! Marybeth is also a very talented illustrator and you can check out her work on her website marybethcryan.com. 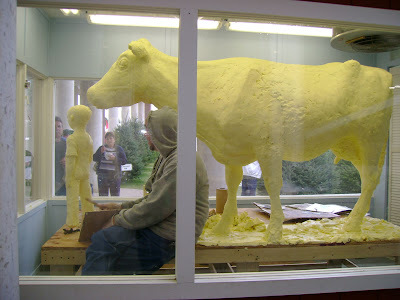 Other highlights of the day were seeing the butter sculpture in process of being created, seeing all of the farm animals and of course eating our way through the different New England houses.